A very successful two day workshop was organised by our partners Yayorin (Indonesian NGO) and Orangutan Foundation to address the conservation issues facing 78% of wild orangutans, who live outside of protected areas. 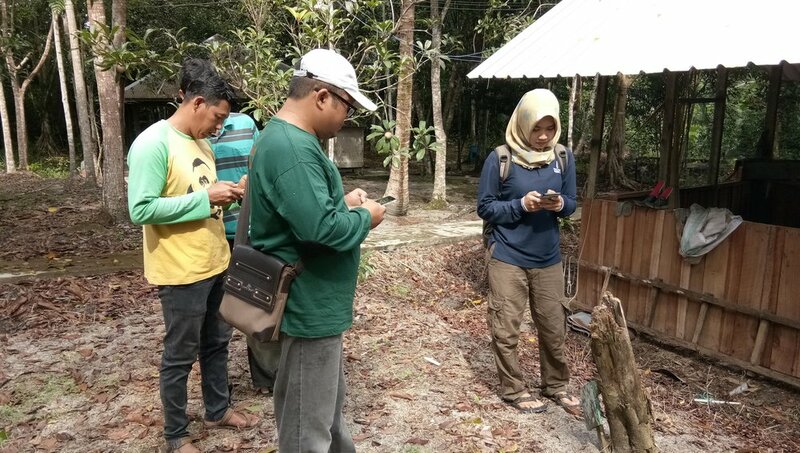 The focus was training in SMART technology to monitor and survey orangutan populations and prevent crimes against orangutans, wildlife and forests. The workshop was well attended and all participating received practical training. Workshop attendees included Yayorin, Orangutan Foundation, SKW II Balai KSDA Kalimantan Tengah, Tanjung Puting National Park Office, Sukamara-Lamandau Regional Forest Service Office (KPHP) , Seruyan Regional Forestry Service Office (KPHP), Nangamatu Village - Belantikan Raya and Pangkalan Bun Antakusuma University. Thank you to Arcus Great Apes and Gibbon Program for funding this important initiative.